Introducing Optima – retractable seating for every space and budget. Audience Systems’ R&D team have hatched a clever little fold-down chair to help make our retractable seating accessible to more customers. We know that when budgets or space are tight, it’s been difficult for some of our clients to find the right retractable seating solution without being forced to compromise on quality. We also know many main contractors and venues want to work with Audience Systems - attentive project management, excellent on-site performance and the quality and durability of our products are just some of the reasons given. And so, we developed Optima - named after its ability to make the very best use of both space and budget. Firstly, it’s designed to make the very best use of materials, minimising waste to help reduce cost compared to other upholstered chairs. Secondly, it’s the first chair we’ve developed that’s mounted on the front of the platform; on the rear row this creates space for an extra row of seating - which can make all the difference in a tight space. We’ve also designed Optima in a good range of widths, ensuring that the seating layout can be tweaked to perfectly utilise the space. All in all it provides customers with a good quality upholstered seat, on Audience Systems’ renowned retractable platforms, at a really accessible price point. 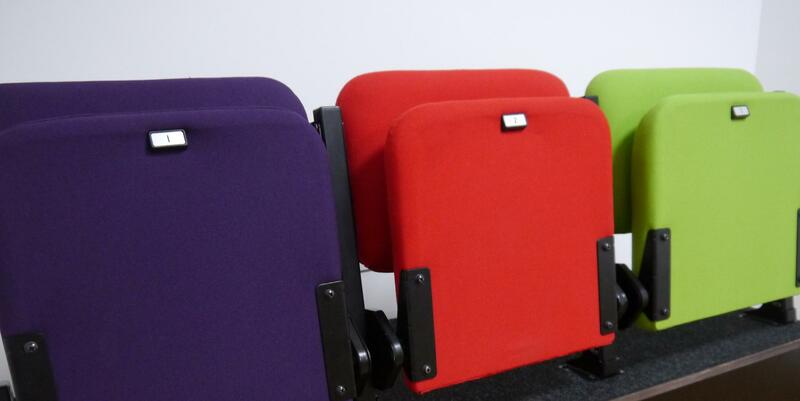 It’s strong and durable too – being designed to comply to Level 3 of the British and European seating standard BS EN 12727(2000). If you’d like more details about Optima, please visit the Optima page on our website, where you can also download the datasheet, or for a budget price or quotation for your project, please contact our sales team.